The trade remedies available to the Australian government to take remedial action against injurious imports fall within three categories: anti-dumping measures, countervailing measures and emergency safeguards. 'Dumping' occurs where a foreign exporter sells goods to Australia at a lower price than the 'normal value' of the goods, which is generally the domestic price of the goods in the country of export. International World Trade Organisation (WTO) law, specifically the Agreement on Implementation of Article VI of the General Agreement on Tariffs and Trade 1994 (the Anti-Dumping Agreement), allows remedial action to be taken by the Australian government in response to the practice. Remedial action offsets the dumping margin, which is the amount by which the normal value exceeds the export price to Australia. In some cases it offsets the injury margin, which is the amount of injury suffered by the domestic industry. A 'countervailing subsidy' measure is an Australian government action taken against foreign government assistance given to foreign exporters to Australia. If the independent Australian statutory body, the Anti-Dumping Commission (ADC), finds that one of these practices is causing material injury to domestic Australian industry, the Minister for Industry, Innovation and Science (the Minister) can impose an anti-dumping or countervailing duty to offset the dumping margin or value of the subsidy (or in both cases, the injury margin), or require price undertakings by the exporter. An anti-dumping duty can be an ad valorem duty, fixed duty, floor price or a combination of fixed and variable duties. A countervailing duty can be imposed as an ad valorem duty or a fixed amount per unit, or a combination of both. There are currently measures in place in relation to 30 different products, and the ADC is investigating 23 different instances of dumping or subsidisation. In certain circumstances, the Minister is empowered to exempt certain foreign exporters from the countervailing duties imposed. For example, on 9 August 2017, following a recommendation from the ADC, the Minister exempt certain types of aluminium road wheels imported from China from anti-dumping measures, on the basis that substitutable goods are not produced in Australia. The exemption was backdated 10 months. The Australian government can also impose 'emergency safeguards', to be used where a 'surge of imports causes or threatens to cause serious material injury to a domestic industry . . . Imports must be recent enough, sudden enough, sharp enough and significant enough. '2 Safeguard measures may take the form of import quotas, tariffs or a combination of both. Under Australian law, emergency safeguards can only be imposed after a full investigative review by the Productivity Commission, an independent statutory body. The Productivity Commission is an advocate of trade liberalisation, and its most recent safeguard review was in 2013 in relation to a subsidiary of Coca Cola Amatil, which resulted in the government accepting the Commission's recommendation against imposing a safeguard. Part XVB of the Customs Act 1901 (Cth) (Customs Act), the Customs Regulation 2015 (Cth), the Customs Tariff (Anti-Dumping) Act 1975 (Cth) and the Customs Tariff (Anti-Dumping) Regulation 2013 (Cth) govern Australia's anti-dumping system. These rules are applied in accordance with the Dumping and Subsidy Manual, a legal commentary and policy document. The Commissioner may investigate or reject the application.4 After the investigation, the Commissioner must issue a report to the Minister recommending whether a dumping duty notice should be issued and consequent tariffs applied, and the level of any tariff.5 Based on that recommendation, the Minister then makes a decision. Decisions of the Commissioner and the Minister can be reviewed on their merits by the Anti-Dumping Review Panel.10 They may also be reviewed by a court for jurisdictional error. If the Anti-Dumping Review Panel comes to a different conclusion to the Commissioner, its decision is substituted for the original decision. In the case of decisions from the Minister, the Review Panel makes a recommendation that can be either accepted or rejected. the application of the 'lesser duty rule' as a WTO-plus commitment. The Australian procedures with respect to safeguard measures are published in Commonwealth Gazette No. S297 dated 25 June 199818 as amended by Commonwealth Gazette No. GN39 dated 5 October 200519 (the General Procedures) and essentially codify the General Agreement on Tariffs and Trade 1994 (GATT) Article XIX and the WTO Agreement on Safeguards. The Productivity Commission, a Commonwealth advisory body within the Treasury department, is authorised by the Productivity Commission Act 1998 (Cth) to conduct investigations on reference from the government into whether safeguard action is warranted in accordance with the General Procedures. After investigation, it produces a report to the government recommending whether safeguard measures are warranted. When the Productivity Commission initiates an inquiry it must notify the WTO and announce it on its public website. The General Procedures require the Productivity Commission to consult with interested parties, convene public hearings and call for public submissions. Under the General Procedures, possible safeguards are limited to quotas, tariff quotas and increased tariffs. They may only be imposed for four year periods, and only after the Productivity Commission has conducted an inquiry and concluded that safeguards are warranted. There is no formal mechanism for implementation of safeguards, which falls to the government. In the past 20 years, the Productivity Commission has conducted safeguard inquiries into pork products (1998 and 2008), citrus products (2002), processed fruit products (2013) and processed tomato products (2013). In all but one investigation, the 1998 pork industry investigation, the Productivity Commission concluded that no safeguard measures could be justified under the WTO Agreement on Safeguards. Australia has never implemented safeguard measures. Thailand (pursuant to the Thailand Australia Free Trade Agreement), if those imports are not a cause of serious injury or threat thereof or of serious damage or actual threat thereof. Despite Article 2.2 of the WTO Agreement on Safeguards, there is WTO case law that suggests that under certain circumstances, measures otherwise prohibited under this section can be implemented. Australia is presently a signatory to 10 free trade agreements (FTAs) with key trade partners. Nine of the agreements currently in force are bilateral in nature (agreed with Chile, China, Japan, Korea, Malaysia, New Zealand, Singapore, Thailand and the United States) and the 10th is a multilateral agreement with the Association of Southeast Asian Nations. the Pacific Agreement on Closer Economic Relations. Australia persisted with the negotiation of TPP-11 following the departure of the United States from negotiations, primarily for the benefit of Australian agricultural producers who stand to gain the most significantly from the agreement. Australia's continued negotiation of multiple FTAs and commitment to the WTO process exhibits the significant political and private sector support for trade liberalisation. The Australian economy relies heavily on the reduction of trade barriers for continued growth, as a significant exporter of minerals, agricultural products and services. However, despite the prevailing trend towards the negotiation of agreements that promote the liberalisation of trade, Australia continues to utilise antidumping and countervailing measures with recently increased frequency, authorised under all of Australia's FTAs – except, notably, its agreement with New Zealand. Australia has recently increased the use of anti-dumping measures against Chinese exporters, most significantly in the period directly following the signing of the China–Australia Free Trade Agreement (ChAFTA) in 2014. Formed in 2012 following a series antidumping reforms, the ADC is an independent government agency tasked with investigating potential cases of dumping and recommending to the relevant Minister the appropriate trade remedy to be imposed. The ADC has performed 26 investigations into alleged Chinese dumping, 13 of which have resulted in the imposition of measures. In 2014 alone, notably the year ChAFTA was signed, the ADC initiated five investigations against China, including an anti-circumvention investigation. Australia's FTA with New Zealand came into force on 1 January 1983 and remains one of the most comprehensive FTAs in existence. Since its inception, the agreement has prohibited all tariffs and quotas imposed on goods within the free trade area and was the first FTA in the world to extend coverage to trade in services in January 1989, subject to very limited exceptions. Finalised in 2015, the negotiation of ChAFTA represented a significant step forward in Australia's most valuable trade relationship. Forty years ago, trade between China and Australia totalled approximately A$100 million annually, compared with over A$100 billion today. As mentioned above, Australia's increased exercise of its anti-dumping and countervailing measures rights under the agreement, in addition to Chinese bans on certain Australian exports has challenged the relationship somewhat in recent years. That being said, Australian–Chinese trade continues to grow steadily and will be broadly assisted by the terms of ChAFTA. Coming into force on 1 January 2005 after a 10-year negotiation, the US Free Trade Agreement eliminated most tariffs on agricultural products exported by both countries, established favourable conditions in both economies in the market for financial services and mandated key changes to Australian intellectual property laws, among other reforms. The agreement retains the rights of both parties to impose trade remedies, consistent with the GATT and the General Agreement on Trade in Services. EU: on 18 June 2018 Australia and the EU announced negotiations for a FTA between the two trade partners. The EU is Australia's second largest trade partner and in 2017 was the most significant source of inbound foreign investment. A likely issue of contention in negotiating an agreement is the EU's desire to retain protections for agricultural producers pursuant to its common agricultural policy. The EU's negotiation directives note that any agreement reached ought to recognise that subsidies paid to European farmers are not distortive and therefore should not be targeted by anti-dumping or anti-subsidy measures by Australia. TiSA: Australia, the United States and the EU currently lead negotiations between 50 economies to reach an agreement on the global trade in services. Accounting for approximately 70 per cent of Australian GDP and employing four out of five Australians, lower barriers to global trade in services is critically important to Australia as its economy transitions from a producer of goods to one producing primarily services. Australia's key objectives in TiSA negotiations include improving investment conditions for Australian businesses seeking to establish offshore facilities and improving business mobility for Australian service professionals looking to cross borders for business. Australia hosted the 21st round of TiSA negotiations in December, 2016; however, there is no firm deadline set for the conclusion of negotiations. 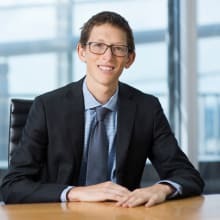 The most notable recent changes to the Australian regime in the past year have been amendments to the Customs Act,21 particularly in relation to the anti-dumping regime and recent negotiations of several FTAs. On 31 October 2017, the Customs Amendment (Anti-Dumping Measures) Act 201722 (Amendment) was introduced to amend Section 269TAB of the Customs Act. Section 269TAB sets out the export price of any goods exported to Australia. An accurate determination of the export price is necessary to calculation of the dumping duty to be charged. Section 269TAB provides that the export price for goods exported to Australia is the price paid by the importer to the exporter (other than the transportation costs) for the goods, where the purchase of the goods was an arms-length transaction. In circumstances where the purchase by the importer was not an arms-length transaction, then the export price is the price at which the goods were sold by the importer to a person who is not an associate of the importer. factors affecting patterns of trade for like goods that are not within the control of the exporter. the price paid for like goods sold by the exporter in arms-length transactions for exportation to an appropriate third country (a country other than Australia). The ADC regularly conducts dumping investigations in Australia. In April 2017, the Dumping and Subsidy Manual was updated to reflect the Commission's current practices. The use of anti-dumping measures, including anti-dumping investigations, has been increasing over the past year. The increase has been particularly prominent in the steel sector in Australia. Several of the cases that are currently being heard by the ADC are in relation to steel and aluminium products, such as aluminium road wheels, hot rolled coil steel and hot rolled plate steel. For example, the most recent anti-dumping decision to be considered by the Federal Court of Australia was decided in November 2016 and concerned anti-dumping measures imposed on steel hollow structural sections exported from China. There is further discussion of this decision in Section V.
There has also been a significant number of anti-dumping measures taken by Australia in relation to A4 copy paper. For example, in April 2017, a dumping duty notice and a countervailing duty notice were published in respect of A4 copy paper exported to Australia from Brazil, China and Indonesia. An application was brought by Australian Paper alleging that it had suffered material injury caused by A4 copy paper being exported to Australia. The dumping margins imposed by the Minister were significant in respect of a number of exporters. For example, a 45.1 per cent dumping margin was imposed on several exporters from Indonesia. There is also a current investigation in relation to A4 copy paper exported from Austria, Finland, Korea, Russia and Slovakia. This application was also lodged by Australian Paper, who noted in its application that sales volumes had improved during 2016 and 2017 following the investigation in relation to Brazil, China, Indonesia and Thailand. This is discussed further in Section V.
In the same light, the opposition party in Australia has stated that if it is successful in the next federal election, it intends to triple the penalties for parties who circumvent Australia's anti-dumping measures as well as increase the funding for the ADC to improve its capacity to investigate breaches. On 1 September 2017, Indonesia requested consultations with Australia regarding Australian anti-dumping measures on A4 copy paper. A panel was established, but not yet composed, on 27 April 2018. This is the first dispute brought against Australia in the field of trade defence in almost 20 years. 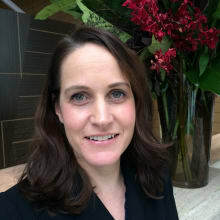 The dispute is especially notable as Indonesia argues that the Australian 'particular market situation' methodology is WTO-inconsistent as applied. Under this methodology, which Australia frequently applies to China, distortions in the domestic market that impact raw material costs are generally found to amount to a 'particular market situation'. Australia disregards domestic prices and costs in constructing the normal value. In constructing the normal value, Australia generally resorts to external prices for the costs it considers to be distorted. Indonesia's claims might succeed in light of the findings of the Appellate Body in EU – Biodiesel (DS473). This could in turn result in a change to the Australian anti-dumping legislation, whereby Australia would amend or remove its 'particular market situation' methodology. While in some jurisdictions globalisation has been superseded by a protectionist attitude to trade, which will continue to impact the policies of successive Australian governments, the official foreign policy of the Australian government is, formally at least, pro-globalisation and anti-protectionism.30 This is illustrated by Australia signing the TPP-11 agreement in March 2018. 1 Prudence Smith is a partner and Eva Monard, Byron Maniatis, Matthew Whitaker, Patrick Mason Begg Clark, Bowen Fox, Jacqueline C Smith, Lachlan Green, Timothy King Atkins Jr and William Maher are associates at Jones Day. 2 Australian Government Department of Foreign Affairs and Trade, 'Trade Remedies' (viewed on 8 July 2018), http://dfat.gov.au/trade/organisations/wto/Pages/trade-remedies.aspx. 3 Customs Act 1901 (Cth), Section 269TAG. 4 Customs Act 1901 (Cth), Section 269TC. 5 Customs Act 1901 (Cth), Section 269TEA. 6 Customs Act 1901 (Cth), Section 269TACB. 7 Anti-Dumping Commission, Dumping and Subsidy Manual (April 2017), 3.2. 8 Customs Act 1901 (Cth), Section 269TAC. 9 Customs Act 1901 (Cth), Section 269TAC. 10 Customs Act 1901 (Cth), Sections 269ZZA and 269ZZN. 11 Customs Act 1901 (Cth), Part XVB, Division 4. 12 Customs Act 1901 (Cth), Section 269TAAA. 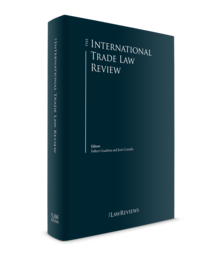 13 See the analysis in Wei Zhou, 'Australia's Anti-Dumping and Countervailing Law and Practice: An Analysis of Current Issues Incompatible with Free Trade with China' (2015) 49 Journal of World Trade 6, 975–1010, pages 985 et seq. 14 Customs Act 1901 Sections 269TG(5A) and 269TJ(3BA); Customs Tariff (Anti-Dumping) Act 1975 Sections 8(5BAA), 8(5BAAA), 9(5AAA), 10(3CA), 10(3DA) and 11(5A). 15 Customs Act ۱۹۰۱ (Cth), Section ۲۶۹T Definitions. 16 Customs Act 1901 (Cth), Section 269TAAC. 17 Customs Act 1901 (Cth), Part XVB, Division 4. 18 Commonwealth of Australia Gazette, Special Notice, 'Establishment Of General Procedures For Inquiries By The Productivity Commission Into Whether Safeguard Action Is Warranted Under The Agreement Establishing The World Trade Organization', No. S 297, Thursday, 25 June 1998. 19 Commonwealth of Australia Gazette, Government Notice, 'Amendment of general procedures for inquiries by the Productivity Commission into whether safeguard action is warranted under the Agreement establishing the World Trade Organization', No. GN 39, 5 October 2005. 20 Australian Government, Department of Foreign Affairs and Trade, 'TPP-11 Outcomes and Background Documents' (7 March 2018), http://dfat.gov.au/trade/agreements/not-yet-in-force/tpp-11/outcomes-documents/Pages/outcomes-documents.aspx. 21 Customs Act 1901 (Cth). 22 Customs Amendment (Anti-Dumping Measures) Act 2017 (Cth). 23 Steelforce Hi-Tech Co Ltd v Minister for Home Affairs  FCA 885. 24 Steelforce Trading Pty Ltd v Parliamentary Secretary to the Minister for Industry, Innovation and Science  FCA 1309 at 5. 25 Steelforce Trading Pty Ltd v Parliamentary Secretary to the Minister for Industry, Innovation and Science  FCAFC 20. 26 Steelforce Trading Pty Ltd v Parliamentary Secretary to the Minister for Industry, Innovation and Science  FCAFC 20. 27 Australian Government Productivity Commission, 'Trade & Assistance Review 2016–17' (2018), Annual Report Series, Canberra https://www.pc.gov.au/research/ongoing/trade-assistance/2016-17/trade-assistance-review-2016-17.pdf. 28 Australian Government Productivity Commission, 'Trade & Assistance Review 2016–17' (2018), Annual Report Series, Canberra, https://www.pc.gov.au/research/ongoing/trade-assistance/2016-17/trade-assistance-review-2016-17.pdf. 29 Harris P, 'Challenges, Threats and Opportunities for Australia International Trade', European Australian Business Council (24 April 2018), https://www.pc.gov.au/news-media/speeches/international-trade/international-trade.pdf. 30 Australian Government, '2017 Foreign Policy White Paper' (2017), https://www.fpwhitepaper.gov.au/foreign-policy-white-paper.